Home #ADDICTIVE Galaxy Cruisers – The ultimate space challenge! Galaxy Cruisers – The ultimate space challenge! Are you a fan of exciting, challenging, and strategic games? If so, then this is the perfect app for you! 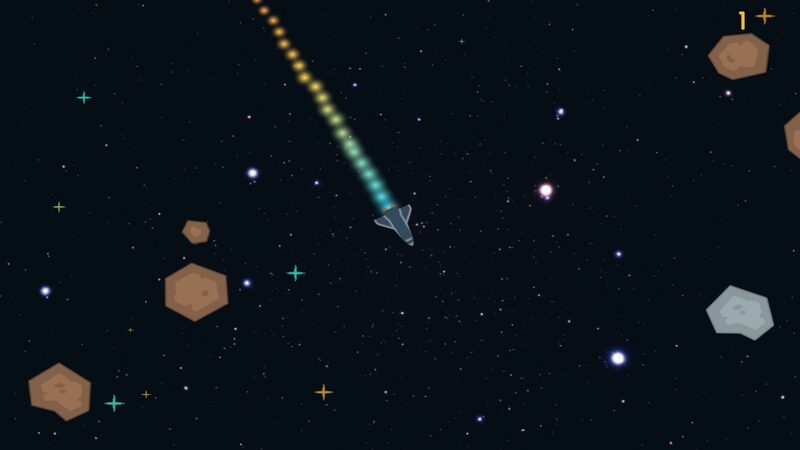 Galaxy Cruisers is the toughest space game out there. 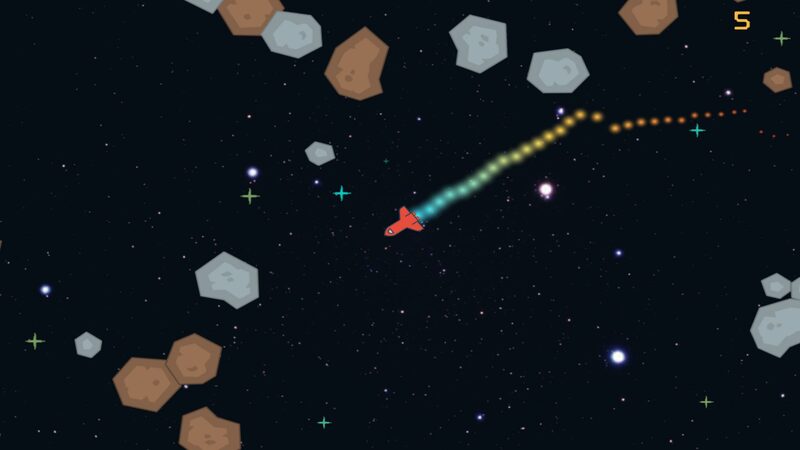 You must navigate through the galaxy while trying to collect fuel (the game currency) and trying to maneuver around meteors that fly in all different directions around you. Although you may think that this game is too hard to play, it is a lot of fun! This game combines challenging elements with fun gameplay for the perfect fit. So, what are you waiting for? Time your actions, move around carefully, and become the galaxy cruising master! Ok, this game is quite challenging to play, but the rules of the game are simple. First of all, this is an endless game where you and your ship can be taken anywhere in the galaxy. You might even be able to get to Mars or the Moon in the game depending on how far you go! Tap on the screen to rotate the ship in different directions. 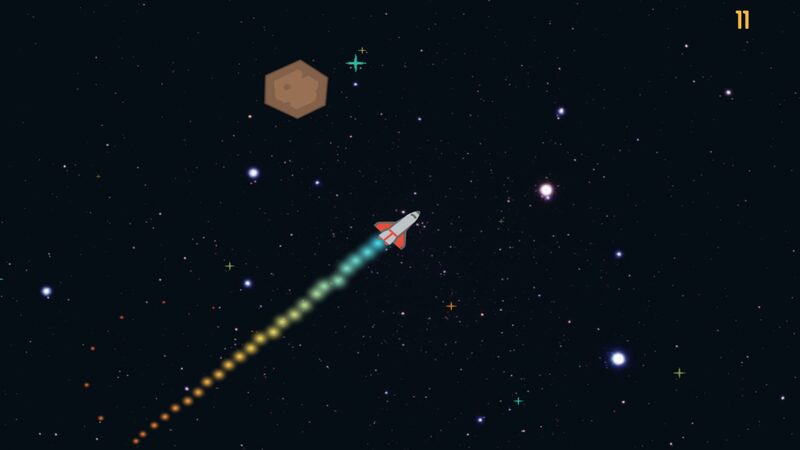 Try to maneuver and avoid the meteors, or else it is GAME OVER. Collect the fuel that is floating around space so that you can unlock and collect brand new better-equipped ships. And that is it. Pretty simple. 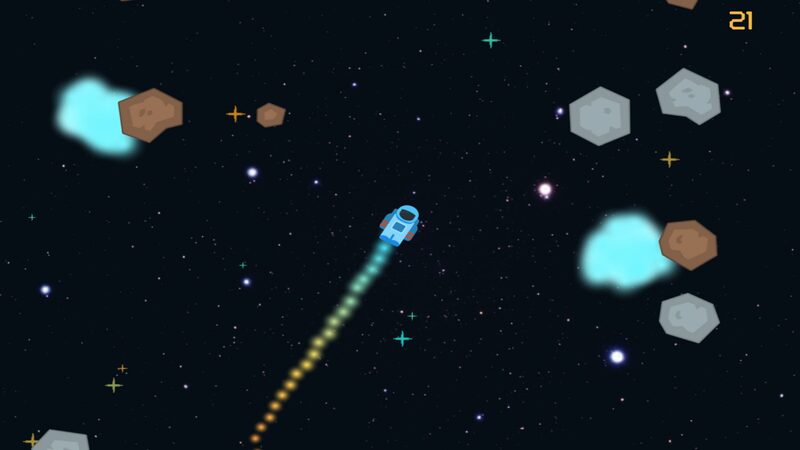 Galaxy Cruisers has a design in which the meteors and fuel flying around you are random and are not predetermined. There are 15 cool ships for you to unlock, and each ship is better than its predecessor. There are a ton of collectibles and achievements for you to unlock as well. Become the Galaxy Cruising Master! This article was Published by Edamame Reviews, Written by JollyApps.